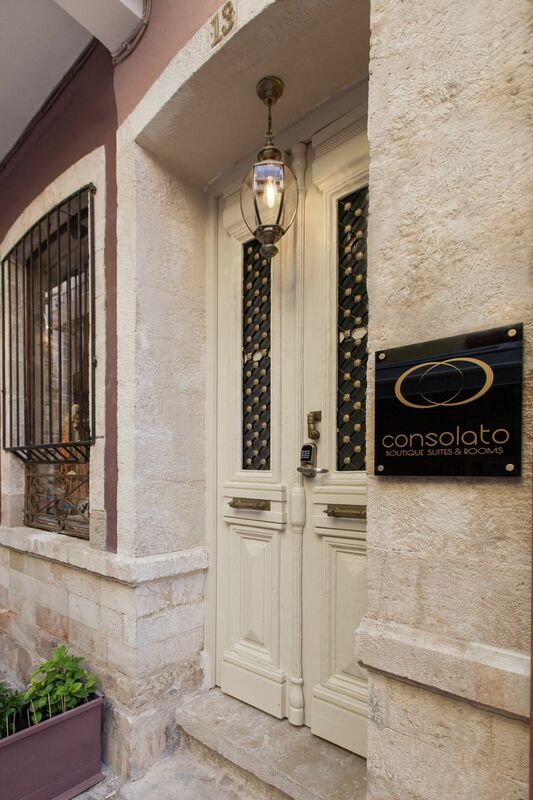 Welcome to Consolato Boutique Hotel! In our luxury boutique hotel, you will find 4 suites and 1 room that will meet your requirements for unforgettable vacations. During your stay, you will enjoy the traditional venetian architecture of our property, the view of Old Town and of Venetian Harbor. We chose top quality construction materials for every suite in our Hotel. Every suite is modernly furnished and has a mini bar, a Nespresso machine, flat screen TV, Top Quality Mattress and Bed, marbled bathroom and a balcony with a view to Old Town. 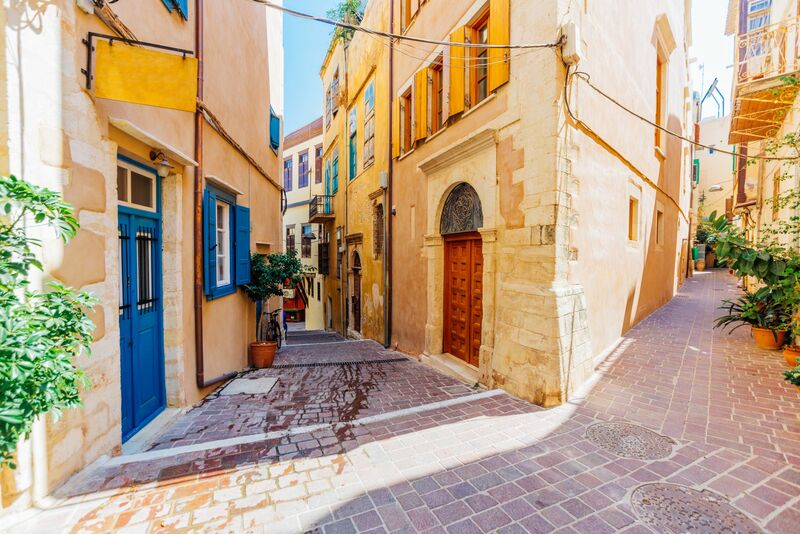 In the heart of Old Town, five minutes’ walk from the modern town of Chania. Our Hotel is located in one of the best areas to stay in Chania. You can enjoy sightseeing points in walking distance while enjoying your stay in our luxury suites. Both old town and new town of Chania are in a walking distance from Consolato Boutique Hotel. That sets you in the center of Chania where you can find a majority of restaurants, bars and shops. Consolato Boutique Hotel has a 12 klm distance from International Airport of Chania. Please note that we can pick you up from the airport at an additional cost. Our Boutique hotel is built in an old family owned building that was renovated with love and care. During renovation, we decided to revive the wealth and the luxury that Old Town of Chania used to have. We were dedicated in choosing high level, top quality materials in our suites. Our goal is to create a modern but classic luxury boutique hotel in Old Town of Chania. 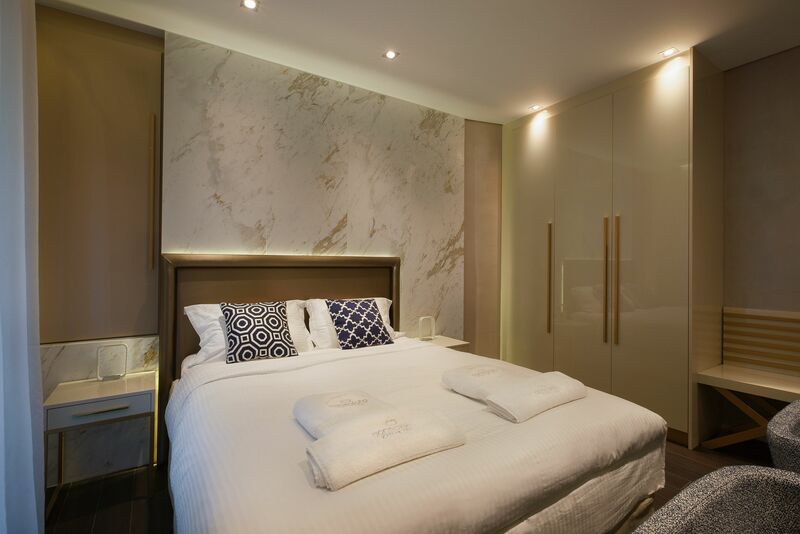 All bathrooms are lined with marble bathroom giving a luxurious feel in your stay to our hotel. We also chose to use beds and mattresses from Coco-Mat which is one of the top mattresses’ companies is Greece. In your suite, you will also enjoy technology that will make your stay to our hotel pleasant and comfy. Every suite has a private balcony with a view to Old Venetian Port and the Old Town of Chania.